When one considers the probable deleterious effect unregulated campaign financing has had and is having on the electoral affairs, and by extension the governance of Trinidad and Tobago, one of the literary works of the great bard comes to mind. Not Sparrow’s but Shakespeare’s. The Shakespearean comedy Twelfth Night the only play of the thirty-three credited to his name, which is given an alternative title by its author, namely What you Will, portrays images of a topsy-turvy world in which weighty matters and circumstances are conjoined incomprehensibly with flippancy, hypocrisy and manifest insanity; the alternative title of the play suggesting a carnival world where everything is masquerade. How appropriate! How sad! For when it is considered that the Representation of the People Act, Chap. 2:01 (ROP) permits of an expenditure by each candidate of $50,000.00, which sum is never exceeded in the statements statutorily required to be submitted to the Chief Election Officer; giving account of expenses incurred in the conduct of the election campaign and when as against that it is blatantly obvious that enormous expenditure is incurred in media advertisements alone, financed by whomsoever unknown, in support of participants’ candidature, there is more than a taint of strong corruption inhabiting our frail blood. The Elections and Boundaries Commission is by constitutional mandate responsible for the conduct of free and fair elections, that is to say elections in which voters are meant to exercise their own will, and in which all the activities and procedures necessary for the operations leading to the events, are free from the slightest tincture or taint of corruption; and concerning which the results of such elections are believable. addresses the expenditure of candidates but not that of the parties of whom the coffers of some seem to be as deep as the Moho. The reality that political parties through whom monies can be channelled are not also required to submit financial statements to a supervising authority just as candidates are required to do, discloses a major loophole in the law. A political party being a corporate body or a business if you prefer, which in fact is what it is, requires finance to conduct its internal affairs and to do what it exists to do, namely participate in elections with the objective of winning the popular vote. No one would deny that in today’s world a great deal of money is required by a political party to run an election campaign. Financial support is a fundamental and major component in the construct of any party’s election campaign. As Pinto-Duschinsky puts it: “The financing of political life is a necessity.” And therein lies the central and most important difficulty. I shall come back to this topic a little later on. However, let me make the point here and now that it is the uncontrolled, or if you like, unregulated flow of money into election campaigns that has the potential to distort and to reduce adult suffrage to the status of a monumental farce. In order to preserve the integrity of the system while at the same time acknowledging that agencies or individuals external to the party may contribute funds towards its activities, it would seem that to satisfy any criterion of transparency requires a disclosure of the source of funds especially so in the case of significant donations or contributions. Financial statements of both political parties and candidates should therefore include naming of the source of funds. The urge of political parties to obtain campaign funds and the gains some contributors anticipate from their donations, spawn a multitude of practices that lead to contamination and corruption of the electoral process, thereby distorting democracy and by extension governance of the State: electoral representatives becoming the alter egos of monopoly capitalists and other assorted mountebanks. Can elections conducted in a free-for-all campaign financing environment be regarded as free and fair? (vi) vote buying by treating and by the grant of a variety of favours. In Trinidad and Tobago election agents of political candidates are required by law to submit to the Chief Election Officer not later than forty-two (42) days after the result of an election is declared, what is termed a “true return” of election expenses which is to be accompanied by supporting bills and receipts. In addition, the return must be accompanied by a declaration made by the election agent before a Justice of the Peace. Further, the Chief Election Officer in turn must within ten (10) days of receipt of the election agent’s statement and declaration, publish, in at least one newspaper a summary of the return together with an open invitation for its inspection by the general public. Unfortunately however, the EBC’s Department does not have the expertise to either review and audit such statements or to investigate any violations. In any case and in the interest of transparency it would perhaps have been more appropriate to provide for such review and audit to be done and published by an independent agency. Auditing by appropriately-qualified independent professionals of all financial statements submitted by political parties and candidates and the publication of the findings of such audits and of any investigation associated therewith. To continue, as you all aware, there have been three Parliamentary debates in Trinidad and Tobago on the subject of campaign financing: one in the Lower House initiated on October 2006; two in the Senate, namely, one in February 2009 and the other in November 2013. In the latter debate which is still in progress, it was suggested by one of the Senators that public funding in the form of State resources to political parties and candidates be considered in whatever legislative construct is devised. “1. Which political parties should be eligible to receive funds? How should the available funds be allocated between eligible parties? The answers to these questions depend on established criteria for determination of eligibility based on, say, number of registered party members, proportion of candidates contesting elections in relation to total number of electoral districts, and Parliamentary representation, to name a few. Similarly, in respect of allocation of funds to parties deemed to be eligible, public funding may depend on the criterion of eligibility alone with equal amounts being allocated to all parties, also the number of registered members, proportion of the total votes obtained in elections, and proportion of seats received. In answering the third question which relates to earmarking of funds by the State, an authority may consider whether it wants to allocate part of public funding for campaign purposes and part for non-electoral activities. Alternatively, consideration could be given to earmarking such funding for such activities as civic education, psephological research and introduction of gender development policies for strengthening the part that women play in the political life of the country. As mentioned earlier, government may wish also to provide indirect public funding by means of free or subsidised media access to political parties and their candidates. Other forms of indirect funding include tax relief for political parties or for the donors of such parties, provision of government premises, e.g. schools for holding of political campaign meetings, and free or subsidised transportation facilities. 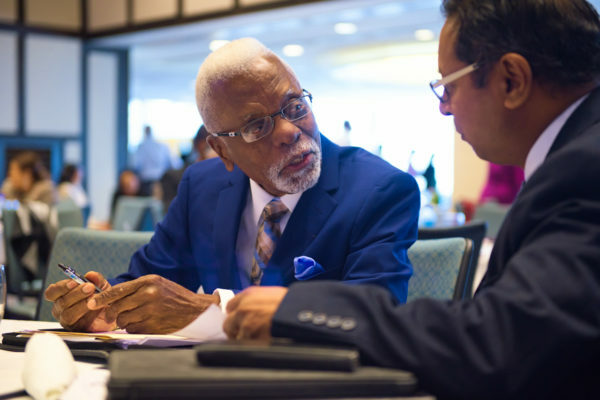 Such is the nature of direct and indirect political party financing by the State as it exists in the democratic world today and as such would constitute a good backdrop against which we in Trinidad and Tobago could develop our own methodology. The issue of registration of political parties is to my mind highly correlated with campaign financing especially in regard to proposals for State funding whether direct or indirect. At the EBC/Trinidad and Tobago Transparency Institute Symposium held last December on the topic of Registration of Political Parties and Campaign Financing jointly sponsored by the Canadian High Commission and the United Nations Development Programme and in which the Organization of American States participated, I drew attention to the absence of a juridical definition of the term political party in the laws of Trinidad and Tobago and adduced as evidence in support of a proposal for registration of political parties the incidents involving certain political parties which occurred during the run up to general elections in 2001 and 2007, the former having to be resolved in the Court. Clearly, the call for registration would be bolstered by any proposal for accessing State- funding since eligibility criteria including such a requirement would need to be established. At present any lunatic can declare that he or she is a political party and write to the EBC requesting registration of a symbol. Production of a symbol costs time and money and most of the time such parties do not contest any election anyway. At this stage it may fairly be concluded that a case has been made for a review of the Representation of the People Act to make provision for full disclosure both by political parties and candidates of their election expenses as disclosed in their financial statements submitted to the Commission’s Department, and to have such statements audited by an independent external auditor; independent investigators appointed to report on any violation; and all audited statements published for public consumption; also, for disclosure of (i) all sources of funding and (ii) the path along which such funding moves within the Party’s organisation. The issue of direct and/or indirect State funding of political parties was broached, in which connection attention was drawn to the essential elements to be considered in the design of any plan based on such allocation of funds and the different types of eligibility and allocation criteria. Cogent argument was made in support of a requirement in the law for the registration of political parties. At the 4th December 2013 Symposium to which I referred earlier the question was asked: What happens next? In the days immediately following the National Symposium, the Commission held confidential bi-lateral consultations with this country’s major political parties. The topics of the Registration of Political Parties, Political Financing and the methods in which these reforms could be achieved were broached with each party. I am happy to share with you that unanimously the political parties demonstrated conceptual support for the introduction of legislation governing Registration of Political Parties and the establishment of Public Funding for Political Parties although it was noted that the details of the latter would require extensive work. Forging ahead, the Commission intends to develop political finance reform proposals. These proposals will be submitted to the political parties, civil society and the public at large for comment and thereafter to the Government for action. 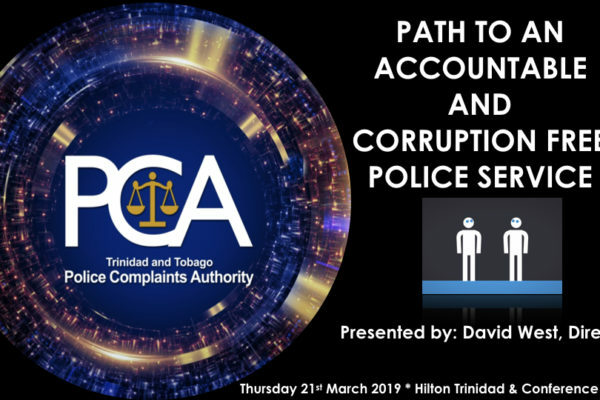 It is hoped that by virtue of this methodology, a consensus as to the content of any future legislation governing political finance in Trinidad and Tobago can be attained. this debate shall be interesting to say the least. 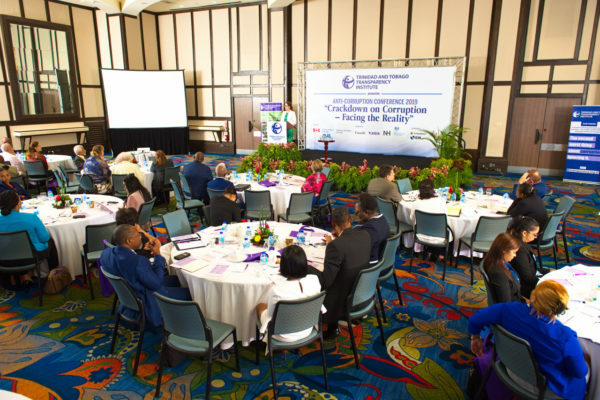 Within the Caribbean region, the efforts of the Electoral Commission of Jamaica (ECJ) towards the monitoring and regulation of campaign financing stand out as a beacon of hope. In a report to Parliament dated July 2010 the ECJ recommended that “… Parliament amend the Representation of the People Act to include the registration and the financing of political parties.” And in November 2011 another report was submitted by the ECJ to Parliament on Campaign Financing. Arising from the comments and opinions of Members of the House of Representatives and the Senate as expressed in the Parliamentary debates, the ECJ prepared another report dated August 2013 with revised recommendations to its Report on Campaign Financing. It therefore appears that Jamaica may be the first country in the Caribbean to enact legislation for (i) Registration of Political Parties, (ii) Financing of Political Parties and (iii) Regulating Political Campaign-Financing of Political Parties. Trinidad and Tobago must follow. governance and the sacred name of democracy parodied before the altar of Croesus. 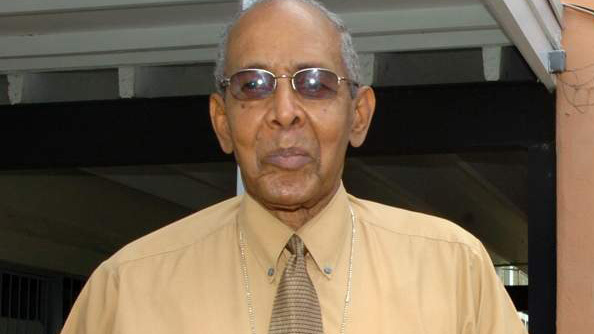 straight the way for the citizens of Trinidad and Tobago.